If you are into MOBAs, you’ve probably tried Fates Forever (Free), one of the first serious MOBAs on the iPad before Vainglory (Free) even set foot in the mobile world. While the game was quite good (I played it a bit), it never got the traction it needed to become sustainable, so its developers, Hammer & Chisel, decided to shift directions. 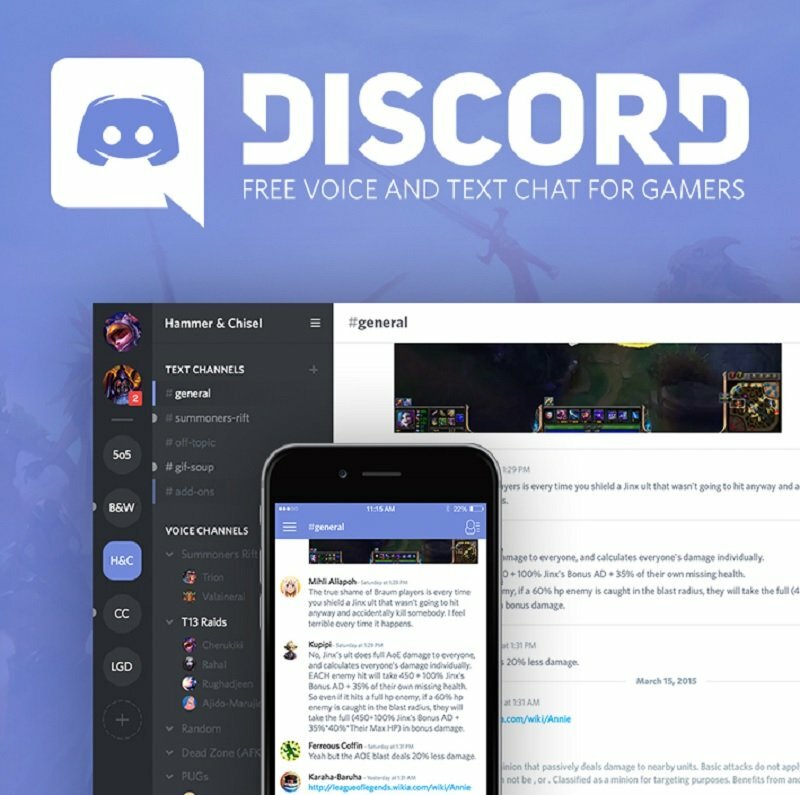 Instead of developing another game, Hammer & Chisel devs are developing Discord (Free), a free voice communication chat app for multiplayer mobile games that hopes to compete with services like TeamSpeak. In an interview with VentureBeat, Jason Citron, founder of Hammer & Chisel, talks about the thinking behind Discord and what the company hopes this app will bring to the gaming world. According to Citron, the company feels that one of the missing pieces of the current esports scene is a reliable and secure way for teammates to communicate when playing team games. Part of the inspiration for Discord came from creating Fates Forever and noticing that voice and text chat on mobile haven’t really advanced over the past decade. The team acknowledges that there are services like Skype and Teamspeak already in the scene, but they feel that those services aren’t satisfying and believe Discord is a successful mashup of two useful tools. Discord is supposedly very low-latency and the system is spread across nine data centers around the world to ensure minimal delays. Citron made a point to emphasize how secure Discord is when compared to a service like Skype since it’s impossible for anyone to obtain another player’s IP address. The company aims to monetize with paid customization (like special emojis) and is hopeful that the service will catch on, which of course remains to be seen. I always have mixed feelings about voice chat in mobile games. While it’s a great tool, especially in MOBAs, when only one team uses it, it can be a very unfair tool. Now, I know that in organized esports voice communication is a must, but in more casual play let’s say in Vainglory, teams that use a service like Discord will trounce those who don’t. I don’t know if there’s a solution to this issue (or if you think it’s an issue at all) since most of these services aren’t connected to the game in any way, but it’s an issue that always gets me thinking. In a way, it’s like playing a game on your touchscreen when another player is using a controller; all is well and fine as long as you aren’t competing for leaderboard positions. Still, it’s good to see that companies like Hammer & Chisel are trying to make voice chat easily accessible; maybe if it’s very easy to use, everyone will be using it and my concerns will be moot. If you want to check out Discord, come hang out with us in the TouchArcade Discord chat to see just how easy it all is.